Attention to health is the greatest hindrance to life. My work is an exploration of formal elements that address the essence of the sensual encounter with comfort food. Transforming complex and separate elements into a new kind of whole. 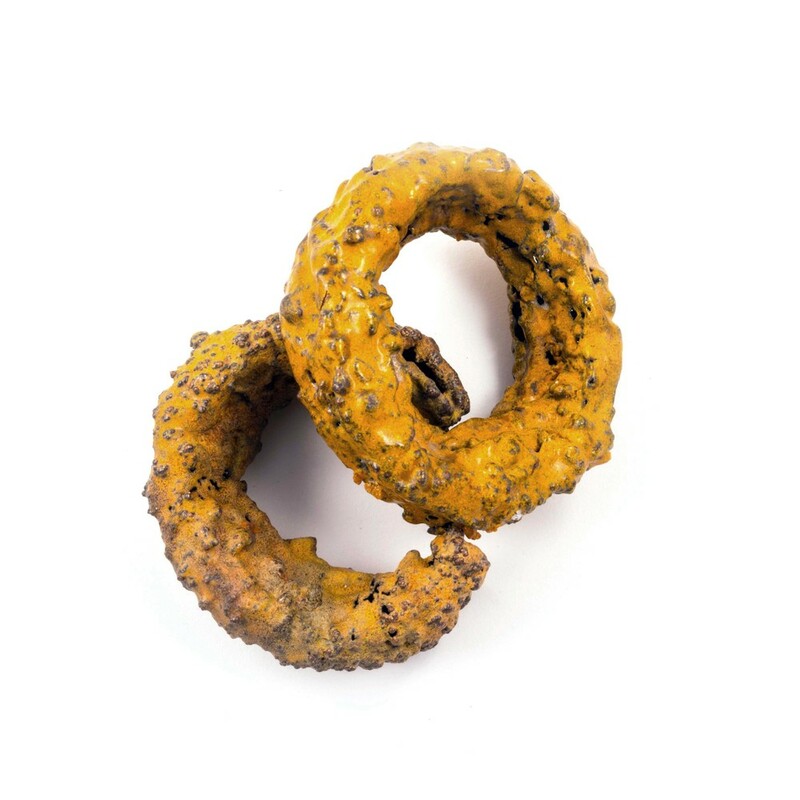 With the inclusion of the body as site, jewelry allows me to present the relationship between two influences, which have followed me continuously through my life: food and ornament. With this work I represent moments of guilty pleasure by utilizing form, texture, color and surface treatment. The conceptual direction of this work is initiated by personal nostalgia associated with the social relationships triggered by food and the interactions that result. The accumulations of my planned and accidental food sentiments are what I am interested in documenting. I have positioned these pieces to evoke the character of social foods that are consumed by or made for two or more people. I look to metal to confirm my intent to honor and respect the legacy of my craft and present my sense of humor with integrity. I am both a metalsmith and proud foodie. I am part of the gastronomic population that knows carrots are better; but I would rather wear my cheeseburger and eat it too.